The 5m 75KV high voltage cable connector is an indispensable part in the cable line. It is used to realize the connection of two cables and improve the electric field at the end of two cables. Long circuits must be connected by two or more cables, which requires a high voltage cable connector. 2) three core cable plug and socket in 70 kv (peak), 50 hz ac voltage, oil temperature 100 ℃ condition, electricity 200 h no breakdown phenomenon. 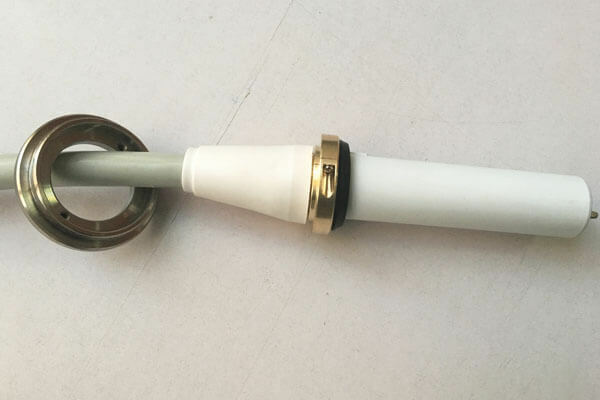 Newheek 5m 75KV high voltage cable connector can meet your different procurement needs.